Evil thrives when good men do nothing! A person? A race? A party? An idea? 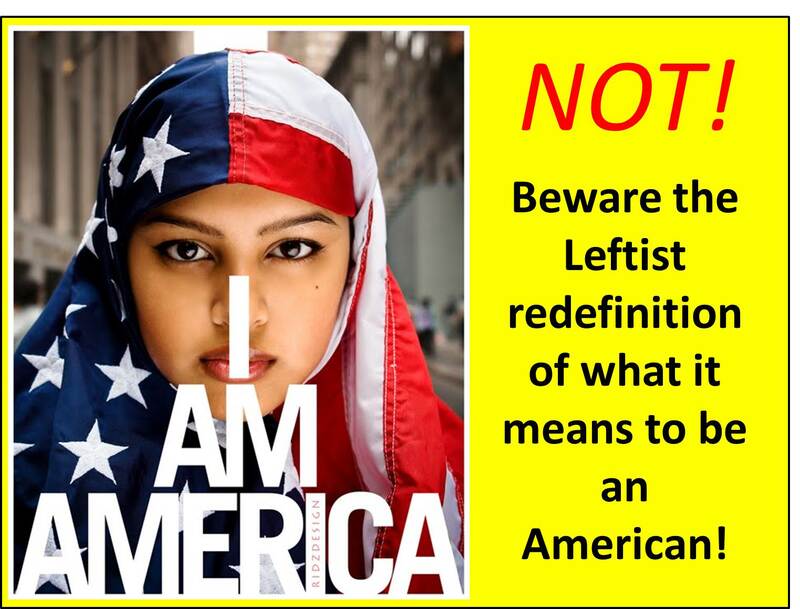 For decades, leftists have redefined “American” into something else. Reactions to Trump’s inaugural address reflect the disparate views of America: globalist vs. nationalist; American Exceptionalism vs. Ugly American. Remember Obama’s apology presidency? He continually found fault with America and courted anti-American nations and tyrants. But first, let’s address the Alt-Right and its identification as WASP. While the Left embraces illegals and foreigners as “Americans,” Coulter and the Alt-Right contend that only WASPs descended from colonists are “true” Americans. Indeed, Coulter sees Americanness as not only a race, but envisions it as a person – herself. Coulter boasts “I’m a settler” and a “Native American.” Coulter cherishes her Pilgrim roots, making her a self-identified authority on all things American as well as moral, culturally, and genetically superior to the rest of us mere mortals. Leftists tend to reject nationalism (and, thus, Americanism) in favor of a globalist, citizens of the world, paradigm. They look askance at patriotism, dismiss concerns for border control and enforcement of immigration laws, and reject the idea of American exceptionalism and the privilege of American citizenship. In contrast, the Alt-Right holds a very constrictive, nativist view of citizenship. For the Left, America is a party as much as it is anything else. The “Women’s March on Washington” was a potpourri of far-left causes and ideologies – all to affirm that they are the real America. “We are America” – the “We” being those Leftists who were sufficiently Left to be included in the protest. However, the Left would almost uniformly answer Weingarten’s questions choosing the second option – whichever choice accrued to America’s detriment or diminishing of stature and power. 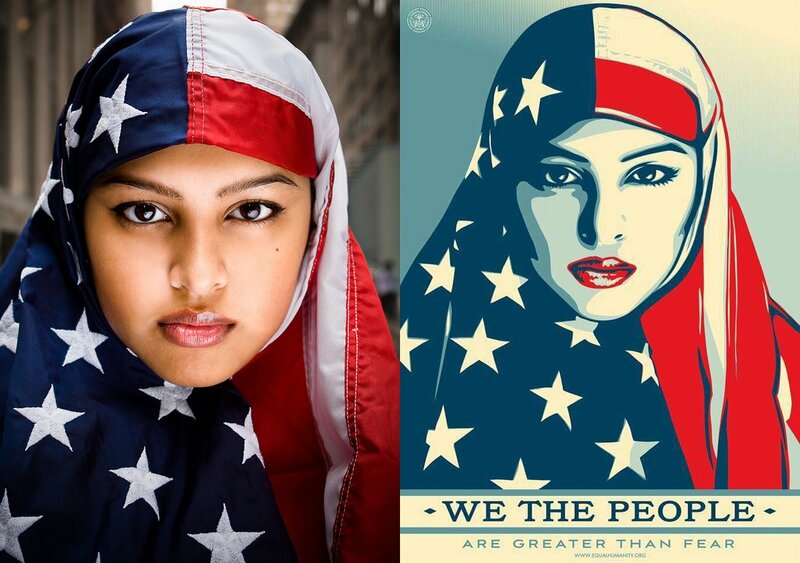 Dismissing American exceptionalism and discrediting America’s Founding Fathers, progressives now champion a new countercultural figure: A female Muslim as representative of America. Their campaign expressly excludes the mainstream, Christians, and Western Europeans. The countercultural 1960s are alive and well in the 2010s. Linda Sarsour, one of the Women’s March organizers, wants sharia law in America. 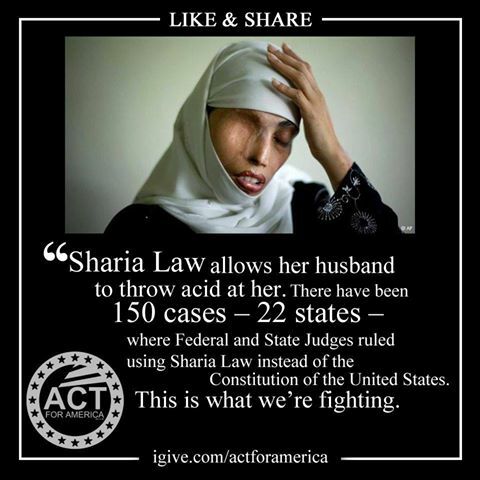 Sharia law is contrary to the Constitution, the supreme law of the land. It is contrary to the Declaration’s proclamation of the inalienable rights of “life, liberty, and the pursuit of happiness.” It is contrary to America’s roots and ideals and everything which makes America America. Contrary to Barack Obama’s assertion that Islam was part of the fabric of America at her founding, it wasn’t. Sharia is hostile to the freedoms proclaimed in the Declaration of Independence and enshrined in the Constitution. What leftists offer is the antithesis of the American ethos. Both the Alt-Right and the Far Left dismiss the notion that America is an idea when, in fact, America was birthed by an idea enshrined in the Declaration of Independence. Our forefathers – whether genetically or ideologically – took a virgin continent to create a New World. Not like Hitler’s Fatherland or Stalin’s Mother Russia. Theirs was not a blood and soil philosophy, but one which built upon the collected wisdom of Western Civilization, the principles and precepts of the Bible, and the surety of God’s Providence. The Framers of our Constitution and Founders of our Republic created a nation and a government which maximized political, economic, and religious liberty to an extent never before seen. America’s Founders believed in the idea of liberty and equality – not race! Abraham Lincoln eloquently spoke of the “proposition that all men are created equal.” A proposition is an idea or an ideal, not a race! This entry was posted in Uncategorized and tagged Abraham Lincoln, Alt-Right, America Ferrara, American Dream, Ann Coulter, Benjamin Weingarten, Constitution, Declaration of Independence, Dennis Prager, Donald Trump, Founding Fathers, identity politics, immigration, inauguration, Islam, Leftism, liberalism, Linda Sarsour, nationalism, Native American, political correctness, POTUS, progressivism, settler, sharia, WASP, Western Civilization, women’s march on January 31, 2017 by BrotherWatch.